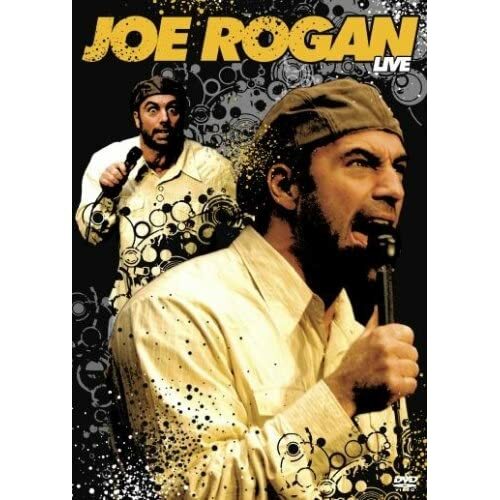 Joe Rogan Live - BUY THIS DVD! Regardless of Joe Rogan's success on television with the Ultimate Fighting Championship or hosting Fear Factor or co-starring in NewsRadio, his true love is stand-up comedy. With more than 15 years as a touring comedian, Rogan has honed an opinionated comedic style that challenges the status quo. From his unorthodox ideas for peace in the Middle East to debunking the myth of Noah's Ark and appreciating the vastness of space - all of the energy of a live Joe Rogan performance is captured on Joe Rogan: Live! HOW TO WIN? SIMPLE. FIRST - Rate and place your comments for 5 movies in our database. Just scroll down to the bottom of any review, drop a quickie comment and click "Submit Your Comments". THEN SEND IN YOUR NAME AND ADDRESS TO contests@efilmcritic.com. Put "I HEARD CARLOS MENCIA STOLE THIS DVD" in the subject line and cross your fingers. We will draw names and one of the DVDs from Image could be yours. Only 1 entry per household.